Awww. 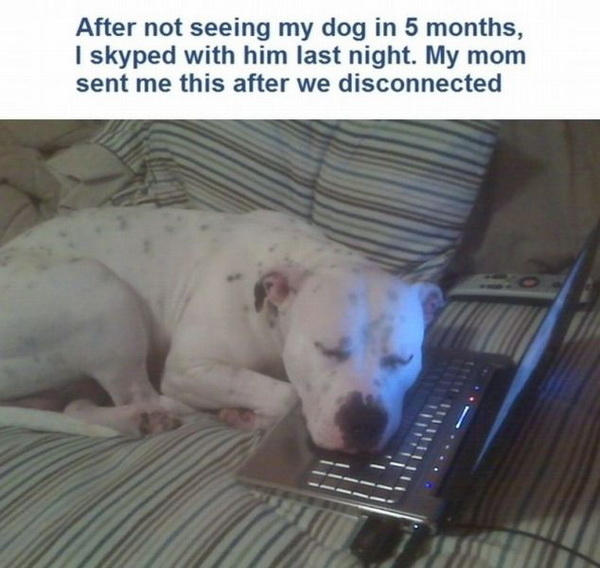 Can totally see he misses you. I read a story about a dog who waited in front of the hospital (where his owner had been taken) for three weeks. He was waiting for his owner to return but the owner had passed away. This really got me. I am living alone while my husband is overseas for a work assignment. I miss him terribly. Our cat stops and sniffs my iPad every time I FaceTime with my husband. I guess he misses him too. LOL! Great blog! Keep on keepin’ on! Thanks for the comments and stopping by. Hoping you (and the cat) are okay!